The Best Eleven: Euro 2008 Wrap: What Clubs and Leagues did the Goals Come From? 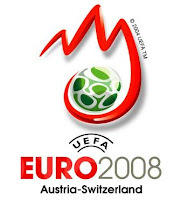 Euro 2008 Wrap: What Clubs and Leagues did the Goals Come From? These are the clubs where all of the goal scoring players in Euro 2008 were playing leading up to the tournament. Obviously, some of these players will be changing or have changed clubs, but I've used the clubs they played for in the recently finished European season for this list. Interestingly, some of the most represented clubs in the tournament ended with zero goal contributing players. I had missed 2 goals from Wesley Sneijder (Real Madrid) and Arda Turan (Galatasaray) and 1 goal from Thierry Henry (FC Barcelona) in the original post. That of course removes Galatasaray from the no goals list as well. Thanks for the correction. So, Galatasara should not be in that list. Thank you for the helpful comment. I have updated the post with the correct info.